The trolleybus no. 05I of the German type MPE 1 lost by World War II on 25 April 1945. 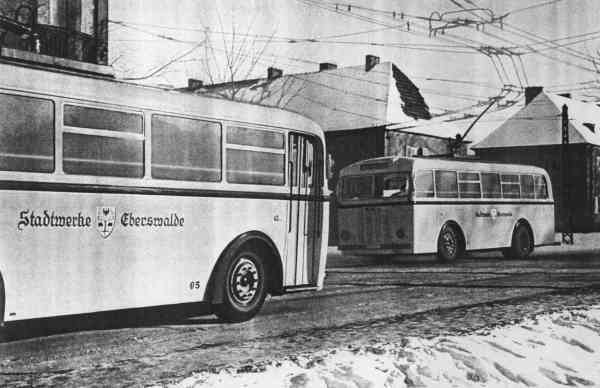 The photo shows the trolleybuses no. 05I and 07I of the German type MPE 1 at the crossing Freienwalder Straße/Saarstraße at the branch to the artillery barracks. The trolleybus no. 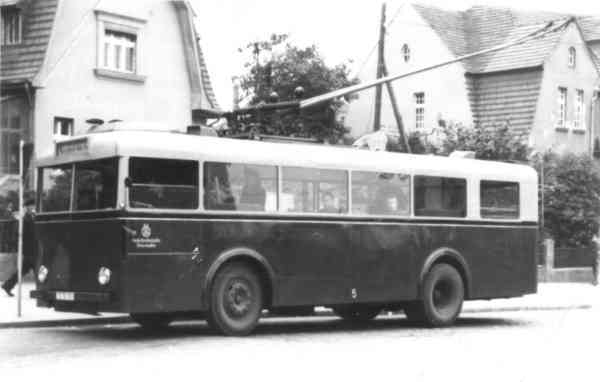 05II of the German type KEO I (war unit bus standard size 1) was reconstructed by KAFA Berlin-Schöneweide in 1954. 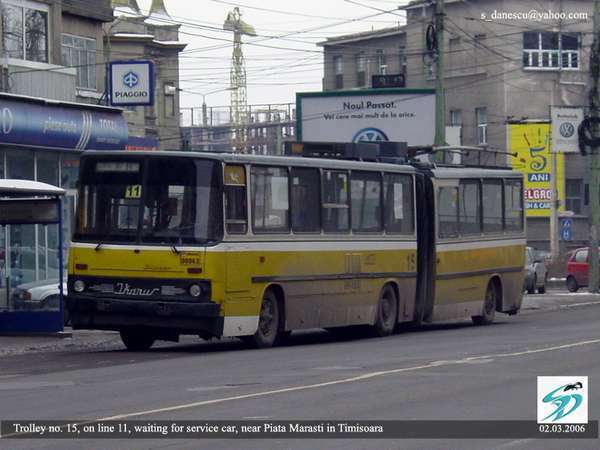 The photo shows the trolleybus no. 05II of the German type KEO I (war unit bus standard size 1) at the former final stop and today's turnaround looping Westend/Boldtstraße. The articulated trolleybus no. 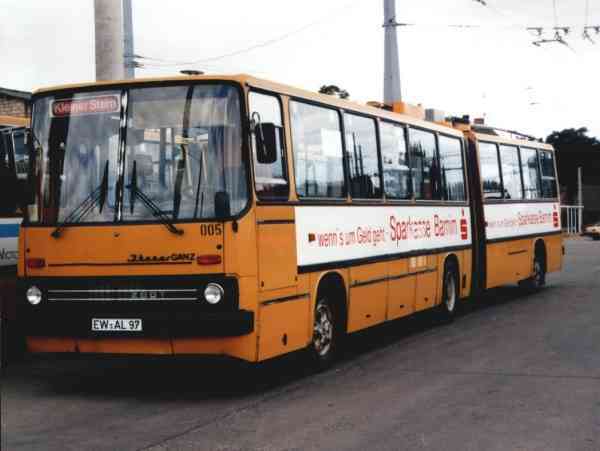 005 of the Hungarian type Ikarus 280.93 was sent on 05 October 1995 further to Timisoara/RO and had there car no. 15. The photo show the articulated trolleybus no. 005 of the Hungarian type Ikarus 280.93 on the old depot Eberswalde/Bergerstraße. The foto show the former Eberswalde trolleybus no. 005 of the Hungarian type Ikarus 280.93 in Timisoara/RO with the car no. 15 on the line 11 near Piata Marasti on 02 March 2006. The defective articulated trolleybus is waiting for an auxiliary vehicle.